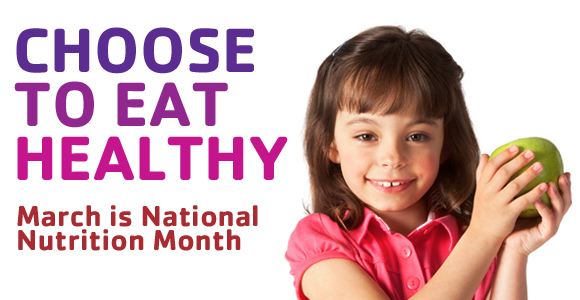 Nearly 6,000 school-age children throughout southern New Hampshire are engaged in Southern District YMCA programs each year. More than 100 kids from 95 families receive financial assistance so they can attend before and after school programs, as well as summer camp at YMCA Camp Lincoln. No one is ever turned away from the YMCA for inability to pay. Financial assistance is supported through generous community donations and fundraisers such as the 5th Annual Paddle Plunge on April 11 from 10AM – 1PM. Paddle Plunge participants will don their best costumes and take a freezing dip in Kingston Lake to raise money to send local youth to camp and safe after school programs. Community members are invited to join a team, donate online at www.crowdrise.com/ymcaplunge and attend FREE Family Fun Day, which will be held during the Paddle Plunge. Guests can participate in FREE activities like face painting, playing carpet ball and camp games, s’mores and a free lunch! Some local organizations are hosting their own fundraisers. Parishioners at Stratham Community Church recently raised $400 to help a camper in need attend summer camp at YMCA Camp Lincoln. Donations like this make it possible for the Y to offset the costs of child care and summer camp for families in need. WHY: No one is ever turned away from the Y for inability to pay. More than 100 kids from 95 families receive financial assistance so they can attend before and after school programs, as well as summer camp at YMCA Camp Lincoln. The Paddle Plunge is a fun way to celebrate the end of winter and raise money to support financial assistance. 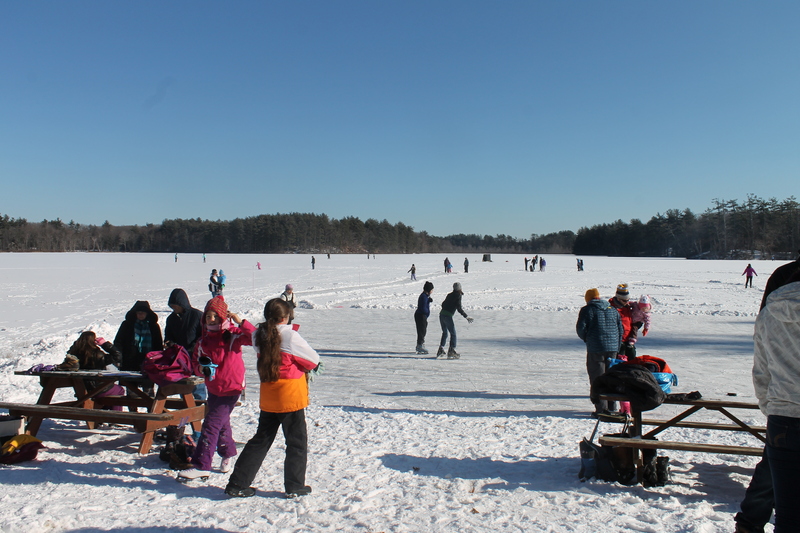 YMCA Camp Lincoln chose another perfect winter day to host WINTERFEST. More than 70 people braved the cold, with sleds and skates in hand, and made their way to the shores of Kingston Lake for sledding, ice skating, snow-angel making, and hot chocolate drinking and s’more eating by the campfire. The skating was perfect; Camp Lincoln staff had shoveled a skating area and trails, but skaters discovered that they could skate through the light snow anyways. Conversation and laughter echoed across the lake. How are you staying active with your family this winter? Here are some ideas for creative ways to stay active and healthy this winter. Thanks to all who joined us for a fun WINTERFEST at YMCA Camp Lincoln! Check out photos from WINTERFEST on Facebook. October is a sensory month in New Hampshire; the summer has ended and hints of cooler weather remind us that winter is on its way. There is a flurry of natural activity! Let’s take a look. Look up! Approximately 500 species of land birds leave their northern breeding ground for southern wintering grounds every year. Migratory flocks of birds travel during the day and at night. Night fliers call back and forth to one another to maintain contact. Listen — do you hear them? Look down! Wooly bears are on a mission to find their winter shelters, and Eastern chipmunks are busily collecting nuts and seeds to store for winter. 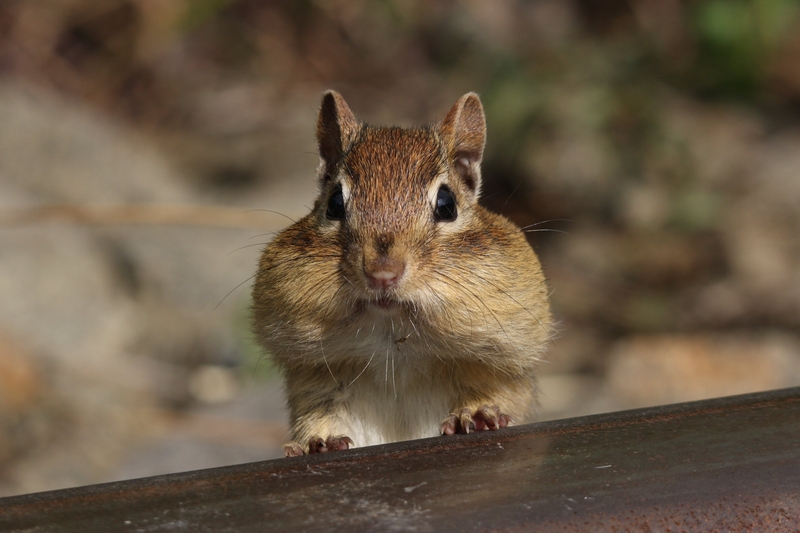 Chipmunks collect and transport their winter food supply in two large cheek pockets. Watch — do you see them? Listen! The woodlands are alive with the dropping of deciduous tree leaves and the dispersal of many seeds. Plants rely on wind, water, animals, and gravity to distribute their seeds to distant locations. Some plants grow all over the world because the wind does such a good job of moving their seeds. Can you feel the wind? Mary Holland’s book Naturally Curious is a month-by-month journey through the fields, woods, and marshes of New England; a truly phenomenal resource for nature education. Check out her blog: Naturally Curious with Mary Holland. Each fall, Camp Lincoln opens it’s doors, cabins, and activity areas to families for a long weekend. We call it Family Camp, and it is exactly as it sounds. Children, parents, grandparents and friends settle into lakeside cabins, unroll their sleeping bags onto wooden-framed bunk beds, pull on their wool socks and hats (or bathing suits!) and enjoy and challenge themselves at camp activities. From kayaking to hiking, pumpkin carving to campfires, families enjoy a relaxing and fun weekend at camp! 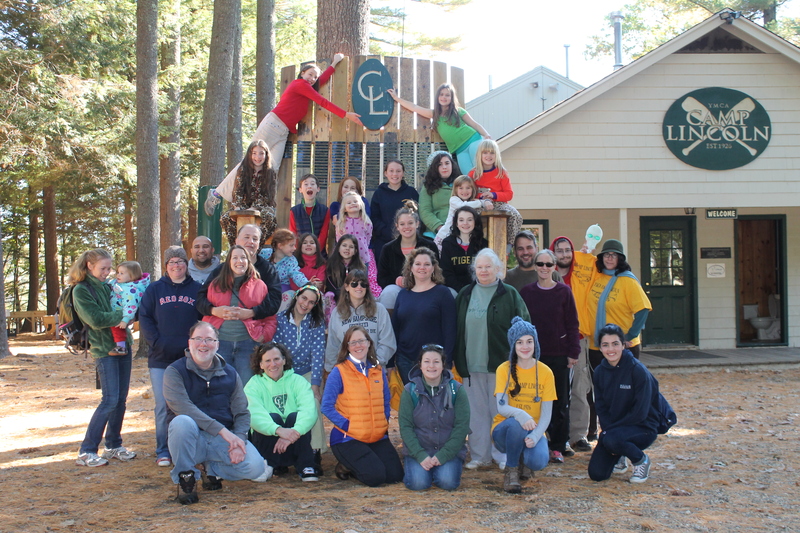 Thank you to the ten families who joined us for a beautiful weekend at camp! Family Camp 2014 was a great success. We look forward to seeing all of you again next fall. Does this sound like your cup of tea? Learn more about Family Camp at Camp Lincoln, and join us in 2015!